a. We normally complete an Assured Short-hold Tenancy “AST” for both furnished and unfurnished properties, for an initial six-month. b. If you have your own preferred agreement you would like to use please indicate this on your Landlord agreement or in writing to the company. b. Additional or Specialist advertising requested by the Landlord will be chargeable. c. Taylor Jackson retains the right to erect a “TO LET” flag board on a property to assist in advertising. Please advise our office if a flag board is not required. a. Our management fee is 10% of the rents received. b. Tenant finding fees are charged at 50% of the property monthly rent subject to a minimum charge of £250.00. c. Maintenance costs will be deducted from the rent transfer payments. d. All Fees are plus VAT at the prevailing rate. a. Tenant finding fees are charged at 66 % of the property monthly rent subject to a minimum charge of £ 350.00.
b. We will deduct our fees from the deposit and any rent collected. c. All Fees are plus VAT at the prevailing rate. a. We require landlords to insure all their properties under a management contract. c. Many insurance policies do not cover rental properties; we strongly advise that you check with your insurance company. a. Under the Gas Safety Regulations 1994 all client landlords are legally required to maintain certain appliances and flues. b. It is imperative that prior to entering in to a tenancy all such appliances are checked by a qualified and registered contractor. c. The Gas safety certificate must be renewed annually. d. We will appoint a contractor on your behalf to renew a gas safety certificate when it falls due for renewal and deduct the costs from your rent transfer. a. When a property is let on a furnished basis it is imperative that all soft furnishing be fire safety compliant. b. Taylor Jackson can advise on the condition of soft furnishings within a property and are able to provide landlords with all items of furniture/white goods as required subject to an agreed charge. a. If a property is to be let on a furnished basis it is important that an inventory/schedule of dilapidations be taken. This schedule should be signed off by the tenant. 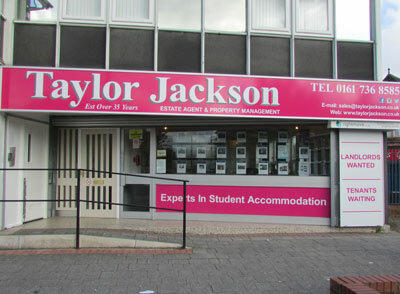 b. Taylor Jackson can complete the inventory and record photographic evidence at an agreed fee. a. Payments will be processed monthly at our earliest determination and will be transferred to the client landlord accordingly. b. We make payments to landlords via the fast pay system to deliver cleared funds to the landlord as quickly as possible. c. We will require written bank details in order to execute your rent transfer. If these change you must email the letting manager and obtain confirmation that the instructions have been received. a. It is our experience that keeping on top of the minor maintenance issues will encourage good relations with the tenant and help prevent delays in the payment of rent. b. Normally, individual minor repairs up to the value of £100.00 will be completed without referral to the Landlord and the cost deducted from your rent transfer. If this is not acceptable please confirm this in writing to the Lettings manager. c. Before completing more expensive repairs estimates will be obtained from our approved contractors and submitted for your approval. i. Safety: When your property’s condition is endangering your tenants, neighbours or other property we will take reasonable all action to mitigate future costs and protect your property from further damage. ii. Security: When a property has been attacked or vandalised we will arrange for emergency measures to protect your property. iii. On rare occasions our attendance will be required at landlord’s property outside normal office hours. In these circumstances we will charge £50 callout fee and £20 per hour thereafter. These occasions are normally dictated by the police or Fire service. a. Should a letting agreement be cancelled at any stage after the signing of our agency terms and conditions a cancellation fee shall be charged to cover all expenses incurred to the date of cancellation. i. Properties have 3 or more storeys. ii. 5 or more people. iii. Contain 2 or more households. b. Selective licensing of HMOs excluded from the above can be applied to other private dwellings where the local authority considers it will benefit tenants and communities, in areas of low demand and/or areas with problems of anti-social behaviour. i. Anti-social behaviour – crime/ vandalism. ii. Deal with the issue of low demand-area decline/ abandonment. iv. Support inexperienced landlords and engage with those landlords whose management arrangements are unsatisfactory.